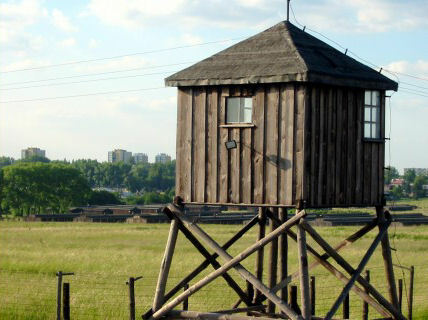 Heinrich Himmler ordered that a prisoner-of-war camp be built in Majdanek upon his visit to Lublin in 1941. 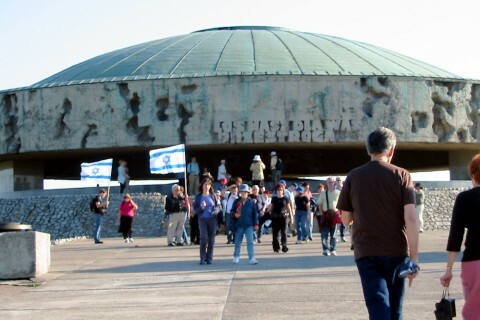 In 1943, it became a concentration camp. 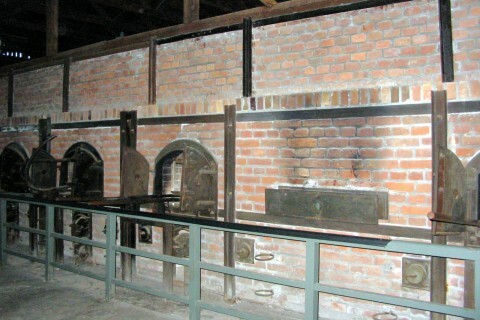 Between 1942 and 1944, Majdanek exterminated tens of thousands of its inmates via the gas chamber and crematoria. The camp was liquidated in July 1944. 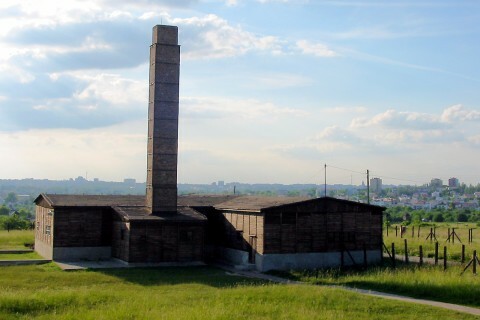 All that could be destroyed before the Soviet Red Army arrived was the crematoria, thus making Majdanek one of the best preserved concentration camps. 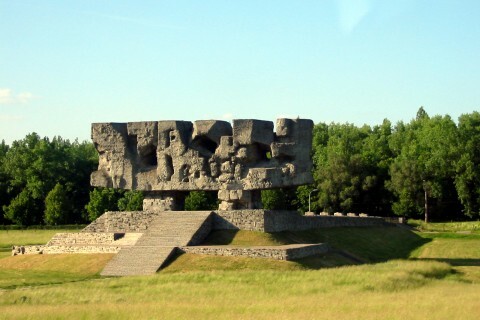 You can visit the Majdanek memorial web site. 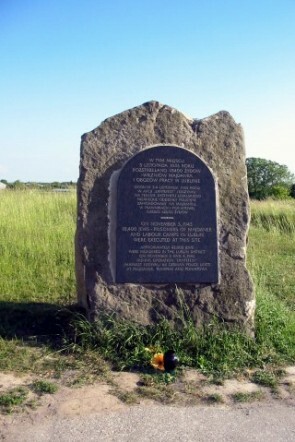 Memorial to those who died there in 1943.
by the "Road of Homage."